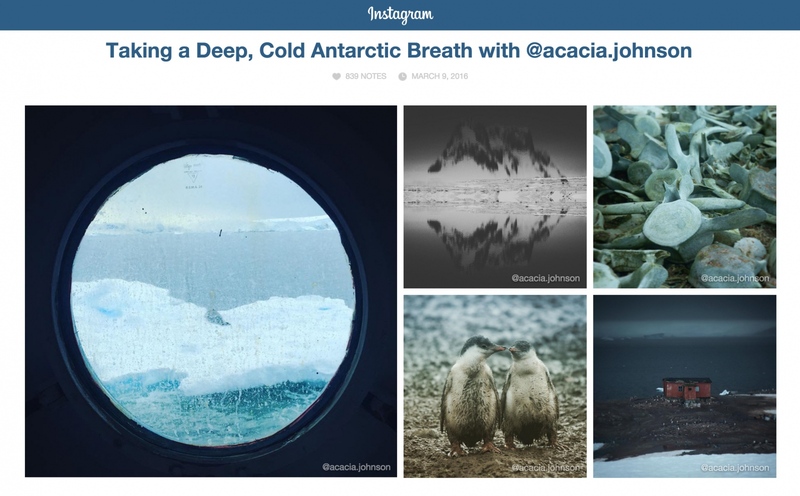 After 3 months in Antarctica, I am finally back in civilization and thrilled to have some of my Antarctic shots recently featured on Instagram's blog! First satellite phone interview I've ever had, probably not the last - a huge thanks to Instagram's journalist for her patience and understanding. You can check out my #livefromantarctica posts at @acacia.johnson!